The Charlotte Hornets have had a short and forgettable history in the NBA. In 2002, the Hornets left Charlotte to begin a new in New Orleans. This left Charlotte without an NBA team. 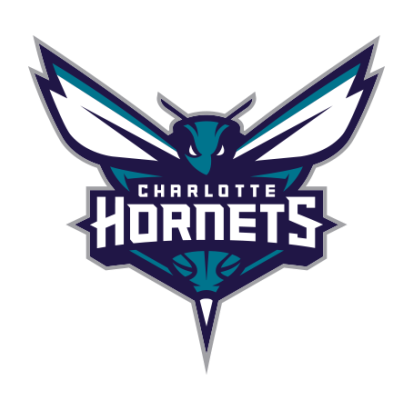 Two years after the Hornets left, the hornets began their existence as a franchise. In their first season in the league, the hornets struggled as expected. They never won more than two games in a row. The bright spots as a franchise in their first season would have been winning the second game they ever played in, beating the Hornets in Charlotte after they departed for New Orleans, and Emeka Okafor winning the Rookie of the Year award. The hornets hoped to build their fan base and team when they drafted two local players from North Carolina: Raymond Felton and Sean May. The hornets improved by eight games to improve to a win total of 25 games. There was hope that their young core would continue to develop in the coming seasons. Exciting news came to the hornets and their fans when the player considered by most to be the best player in NBA history bought a minority share of the team. Michael Jordan was now part owner and president of basketball operations. Jordan played basketball in North Carolina, and hoped to find a way to stay involved with the sport he loved after his third retirement a few years earlier. In their third seasons, the hornets improved yet again as a team. They went from 18 wins their first season to 25 their second season and to 33 wins in their third season. Hope was growing for this young team. After this season there would be a coaching change for the first time in team history. That change at coach would not bode well for the hornets as they regressed for the first time in team history. They went from the 33 wins to only 32 wins after people had begun to pick them as a team to potentially sneak into the playoffs for the first time in team history. After the step backwards, the hornets traded their leading scorer Jason Richardson to the Phoenix Suns for the tough, versatile players Boris Diaw and Raja Bell. The two of them were significant contributors to the Suns teams that were constant playoff teams and one of the most entertaining teams in the NBA. The hornets would improve with their additions but not enough to reach the playoffs. The team was four games back of the 8th seed in the East, but the playoffs were closer at hand then ever before. The hornets would finally break through in 2010 for their first ever playoff appearance. They were led by Stephen Jackson, Tyson Chandler, D.J. Augustin, and Gerald Wallace. The team also recorded their first and only winning record in franchise history that season. They would not advance very far in the playoffs though. They would not win a game as they were swept by the defending Eastern Conference champions Orlando Magic. Things have gone down hill quickly after their first season making the playoffs. The team has since traded away most of their key contributors in the season and a half since they made the playoffs. The team has been acquiring draft picks to hope and find some talent through the draft and development of younger players. The hornets are currently the worst team in the league. They are in contention for the lowest percentage of wins in NBA history. They need one more win in the last dozen and half games in the seasons to be free of the infamy of that record.